Driver backup is a crucial part of any backup activity touching the entire system image, as drivers are vital to unerring job of OS. It is important not only to have all drivers backup but also to place it in appropriate locations when the restoration process occurs. Handy Backup manipulates with driver backup in a most logical way, backing all the drivers installed in the system as parts of the system disk image. So the driver backup software is operating with not only drivers but with all the dependencies and links these drivers are have. When you need to restore drivers backup you will restore not the files only but the totally workable system. 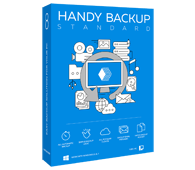 Drivers backup software, like Handy Backup, can move the specific set of drivers to the safe place and restore it when needed. This process can be performed by two ways: backing up system image with all the drivers installed and working, or by installation package driver backup. Download smart driver backup tool firstly and then use one of two ways described below. The first way, as said before, is a most useful method. To perform it using Handy Backup just select the Disk Image plug-in as the data source in the task configuration step. Then select your system disk, and an entire image of your system containing all the drivers used will being backed up. Drivers backup using this technique does not require from user to know any specific properties, locations or parameters associated with drivers. Smart driver backup will be performed automatically. Guarantee of the driver previously worked to work again on the same hardware. The only disadvantage is that a particular driver can’t be copied and saved using this way; but the need of doing it is a doubt. The powerful single-machine Professional edition can perform drivers backup as well as other backup functions. Trial for 30 days! The second way is used often as a sort of smart driver backup technique. To apply it, you must know all the extensions formats used in the particular driver systems; the most common set consists of “*.dll”, “*.drv”, “*.bin” and sometimes of “*.exe” file masks. Any single driver backup can consist from these or any other formats in any combination, so this method requires some knowledge and skill from users. More reasonable tasks that can use this method are backing up the installation package using the drivers backup software. Just select a directory or device containing all the files needed to install the driver and add it to backup data set. Both of these methods uses the Computer plug-in for working with particular files and folders, treating driver backup data as common files with appropriate extension masks. 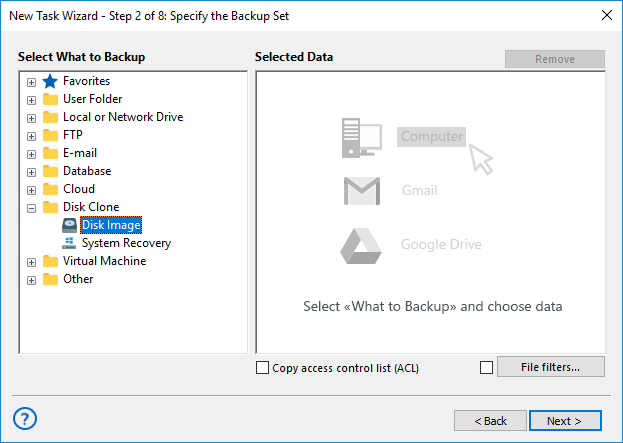 How the drivers backup is picked up is up to the user choice, completely. Try the might of Handy Backup when you are planning to copy your system with all drivers installed and working, and you may forgot about any inconsistencies from incorrect driver backups!